Hi, I'm wondering if anyone's hosting a Thanksgiving dinner in Stuttgart who would be open to including me and my wife. We are happy to bring a few dishes and help. We make the best maple-glazed Brussels sprouts with pecans and apples, which has converted many sprouts-haters. Thanks, and Happy Thanksgiving! Looking for somewhere to celebrate Thanksgiving in Berlin? 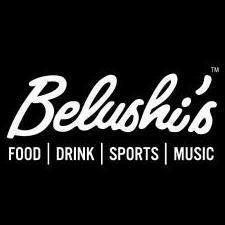 Join us at Belushi's in Rosa-Luxemburg-Platz! We've got a lot to be thankful for this Thanksgiving, and at the top of our list is roast turkey and NFL! Join us on Thursday, 22nd November for another year of face-stuffing, football fun! The meal kicks off at 6pm with a turkey roast and all the trimmings, including cranberry sauce, creamy mashed potatoes, seasonal roasted vegetables and gravy. You can wash it all down with the American beers we'll have stocked in the fridges and then get ready to watch some of the most anticipated NFL games of the year! At 18:30 the Chicago Bears will be going up against the Detroit Lions, and at 22:30 the Washington Redskins play the Dallas Cowboys - all shown live with commentary on our massive projector screen and HD TVs. There will be limited places available for the dinner sitting at 6pm, so we recommend you book in early to avoid disappointment. A few servings will be available for later walk-ins also, and the kitchen will be serving up our usual menu 'til late if turkey isn't your jam. This Thanksgiving event is dedicated to the NFL fans out there and we’ll be implementing an 18+ policy in the bar from 6pm. Dinner is a one course meal at €12 per head. Visit https://bit.ly/2DlMxy2 to book now!